From one of the great comic innovators, the long-awaited fulfillment of a pioneering comic vision. 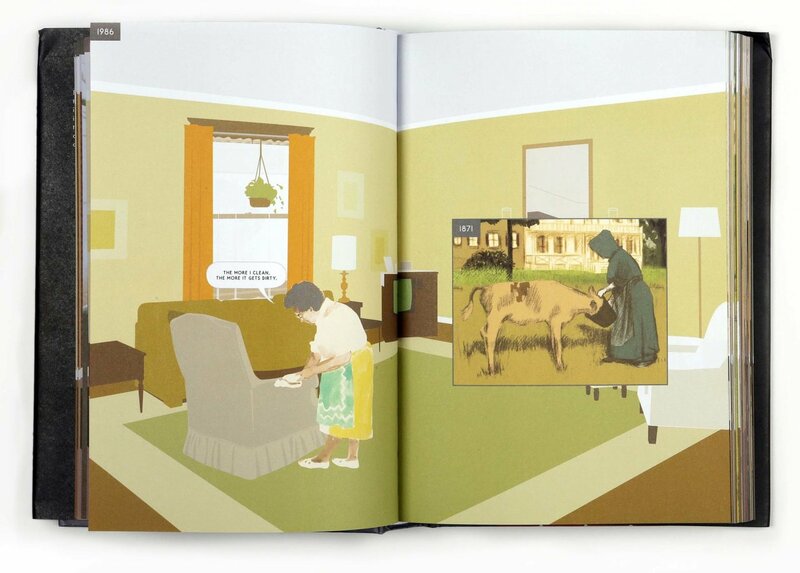 Richard McGuire’s Here is the story of a corner of a room and of the events that have occurred in that space over the course of hundreds of thousands of years. 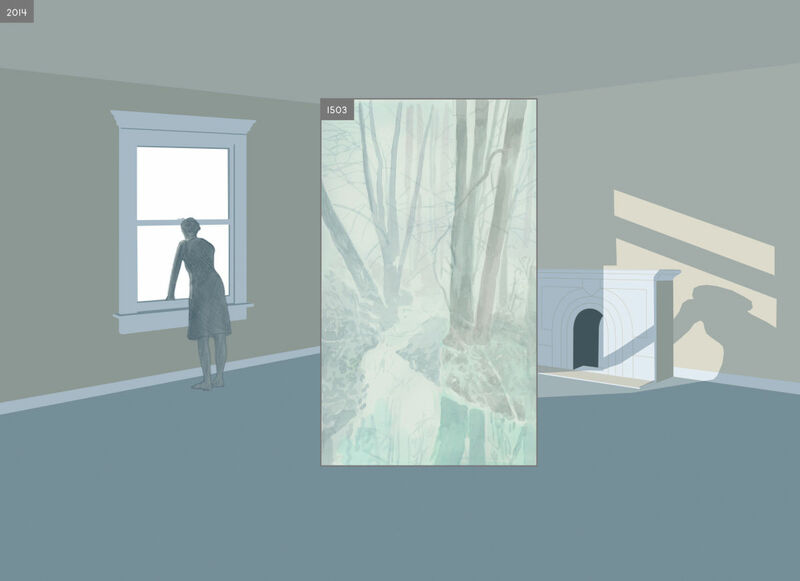 transforms a corner of his childhood living room in New Jersey into a staging ground for all of earthly history. 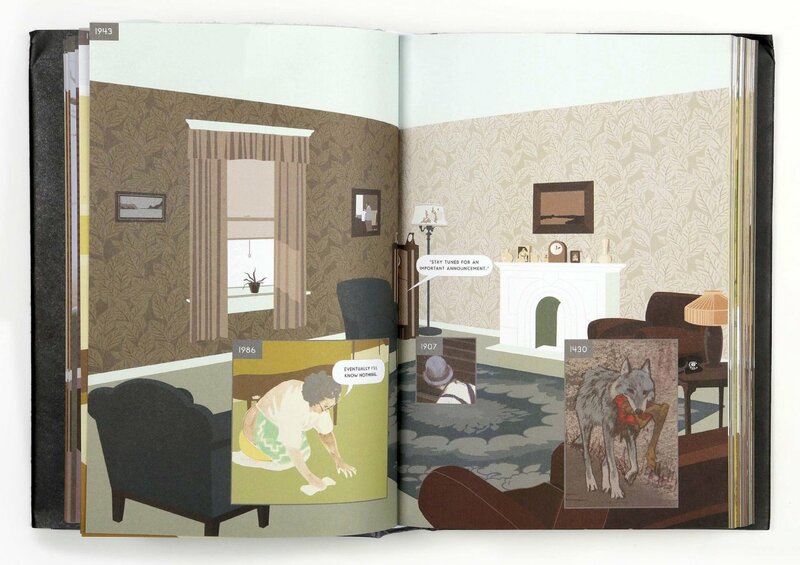 Each two-page spread features a fixed view of the room in a certain year, with pop-up windows giving glimpses of what might have been visible in exactly that spot at various moments in the past and future: from the tail of a passing dinosaur to a 1960s children’s birthday party to a quiet late-21st-century fireside chat. 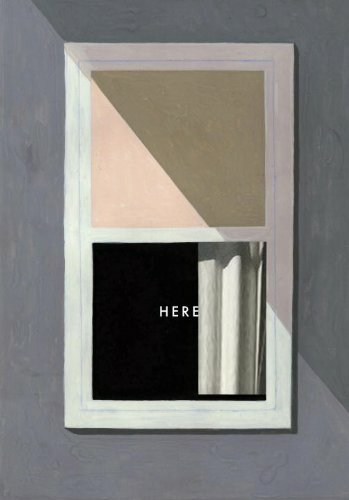 According to an interview in Comic Art, McGuire got the idea for the original “Here” when his roommate told him about the Windows operating system, which had been released only a few years earlier, in 1985. And indeed, the strip has the look of a busy computer screen. Revisiting the concept a quarter of a century later—when personal computers have become ubiquitous—McGuire goes even further, expanding the strip into a 300-page book. The result feels less like reading a novel than like killing time online or flipping through TV channels. One learns about the characters the way a machine would, by analyzing discrete moments of their lives, like a search engine combing for patterns. It could just as well be read back to front as it could front to back. Click on a spread to zoom in.